Business flyer does the exact thing mentioned in the quote. It creates the platform for the effective and insightful conversation. Business flyer is not just another document studded with blabbering information, but it gives precise information in regards to specified product or services on the go. It is extremely important for product launch, promotional marketing, and service portfolio declaration. 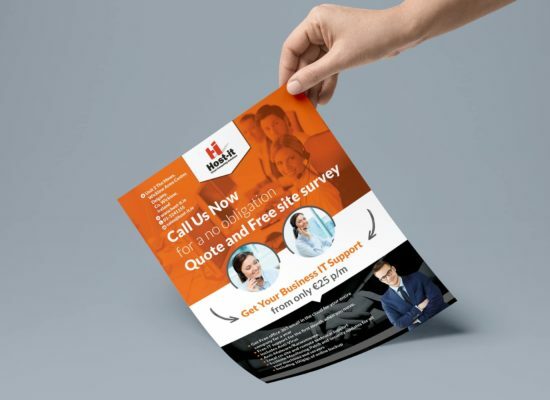 Business Flyer is one of the most-handy, precise and cost-effective marketing tool for the marketers to inform the potential prospects, customers or hot leads. The flexibility of the business flyer is the best part which makes it even more influential while making the sales pitch. In Print2Ads, we offer variety of papers depending upon your need and budgetary limit. We provide 2 cardstock options along with 3 paper stocks. The choice vary relying on your referred material thickness and the distribution method in regards to flyers. 10 pt. cardstock is foldable one but with a certain thickness and generally utilized for postcards and greeting cards. 14 pt. cardstock is the tough nut to crack. It is specifically designed for door hangers and postcards to display and known for its strong endurance. 70 lb. paper is the slimmest in nature and made for bulk type quick promotion in densely populated areas. 80 lb. paper goes to the next level in durability which gives a certain thickness compared to 70 lb. 100 lb. paper is the thickest paper made for adverse situation or rough handling. Its’ thickness makes it perfect fit for event promotions. Why should you choose Print2Ads? Print2Ads has been in the business of Business Flyer printing or Leaflet printing for quite a long tenure and marked its prominence in the market with high-quality product and customer-driven approach. Our exponentially growing clientele will vouch for our services. We provide multiple coating options such as Matte, Gloss, High Gloss UV or even Uncoated based upon your demand. Our service portfolio comprises of but not restricted to: Business Flyers, Club Flyers, Die-Cut Flyers, Custom Flyers, Oval Flyers, Half Circle Flyers, Rounded Corner Flyers, Circle Flyers, Leaf Flyers, Foil Flyers etc.